We were inching forward on a busy road in suburban Boston. I looked out our window and asked my friend how much of the retail strip to our right he’d short (if he could). Joey works for a real estate hedge fund in New York, by the way. “All of it,” he replied without hesitation. I nodded in agreement. Death by Amazon before our very eyes! Now you and I don’t normally chat about brick and mortar stores because, quite frankly, who cares about retail stocks. They don’t pay big dividends unless they’re in big trouble, like Macy’s (M) (and its 6.5% mirage yield) right now. But we do follow their landlords – the real estate investment trusts (REITs) who are required by law to dish most of their income as dividends to us. And if Macy’s is in trouble, that’s trouble for whoever is collecting their rent checks. So let’s review the retail landscape from the landlord’s standpoint. And while we’re at it, let’s spin around the REIT world to look at disruption elsewhere. 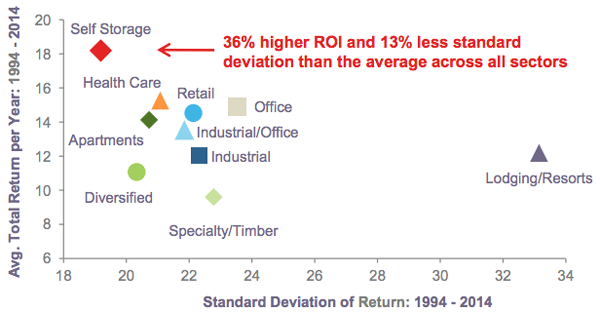 On the whole, REITs are as cheap as they’ve been since 2009. In some cases, it’s for good reason – in others, it’s an opportunity to go shopping. As an investment, I don’t like retail REITs. At all. Now my colleague Bill Stoller points out that some issues are interesting speculations. 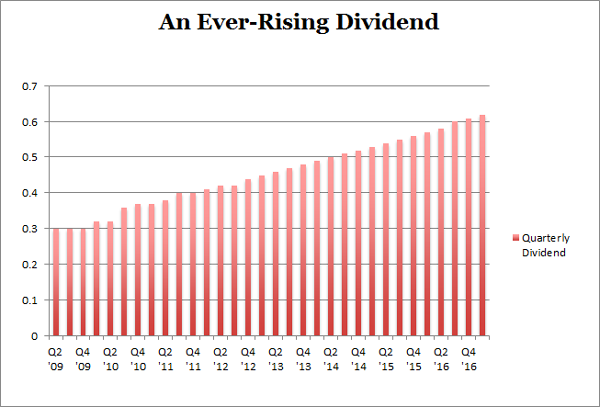 Especially firms with a history of dividend growth, plenty of payout coverage and heavy insider buying. 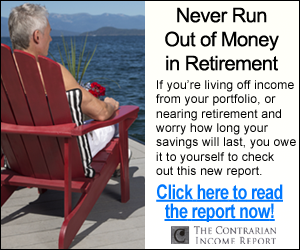 Problem is, beyond a short-term trade, I’m not sure any of these stocks truly belong in a “no withdrawal” retirement portfolio. After all, the entire point of living off dividends is to take the stress out of stock market investing – and these firms will be scrambling as long as the internet continues to eat their tenants alive. With delivery services just beginning to take off, I’m not even sure supermarkets are safe. There are countless Uber and Lyft drivers cruising this country looking for someone, or something, to drive from here to there. If you insist on speculating in this sector, stick with the REITs that own the premium retail locations such as Simon Property Group (SPG). Retail is increasingly becoming more and more about the experience than the purchase, and the firms that own the “Class A” properties are in the best relative position. Hotel landlords have nice business models. They own the facility, but let someone do the heavy lifting of actually running it. Some first-level investors fear competition for hotels from home rental services like Airbnb. Macroeconomics aside, the reason you shouldn’t fear the first concern is that lodging REITs are already priced for a recession. 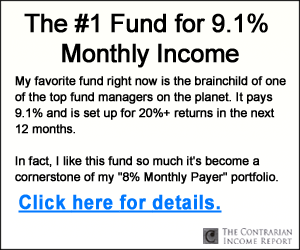 Many trade for less than 10-times FFO (funds from operations) – which is like a stock trading for less than 10-times earnings or cash flows. Cheap. The Airbnb-threat can be avoided with careful stock picking. For example, my favorite lodging REIT has hotels are out in the suburbs or near airports. These locations are well insulated from the Airbnbs of the world, which are more popular near city centers and resort areas. There isn’t much competition from vacation rentals for a Residence Inn next to a business park, and business travelers want convenience and a dependable brand. Yet investors incorrectly perceive a competitive threat, putting all stocks in the sector on sale. There’s value (and high, secure income) in lodging if you choose carefully. But today, competition has matured to the point where some self-storage markets are starting to become saturated. This means we must look beyond the blue chips of the space like Public Storage (PSA) and Extra Space Storage (EXR), because these guys are so big they must own space in every market – saturated or not. Self-storage is a local business, and the supply and demand imbalance varies from city to city. I’m not going to rent a unit across the country, no matter how cheap it is. And we can actually solve the storage saturation problem by looking closely at favorable locations and only buying companies with business there. Healthcare landlords are riding a demographic bull market, with 10,000 baby boomers hitting 65 every day. Some are also dirt cheap, thanks to Medicare and Medicaid worries. These programs are the stable payer sources for the majority of patients in healthcare facilities. They’re run by the government, so there’s always something to worry about. And right now is no different, with the Republicans once again attempting to repeal Obamacare. Skilled nursing facilities (SNFs) seem particularly unloved. SNFs provide the highest level of care an older adult can receive while still living independently. Residents generally get their own room, their own bed, and a private bathroom. Many folks are able to ride out their remaining years here in relative comfort. 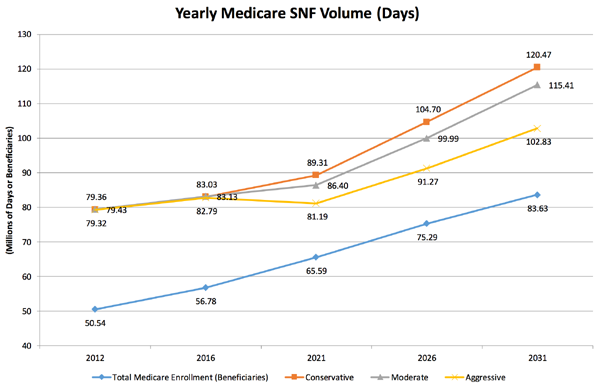 While demand for SNFs is heading steadily up, supply—surprisingly—is constrained. Many states limit new nursing home construction. As a result, there are now fewer U.S. SNFs than there were ten years ago! Hospital landlords are also selling off with every news leak from Washington, D.C. This doesn’t make much sense, as places don’t come more recession-proof and payer-proof than hospitals. It pays a 8% yield today – but that’s actually a 8.4% forward yield when you consider we’re going to see four more dividend increases over the next year. And the stock is trading for less than 10-times funds from operations (FFO). Pretty cheap. However I expect its valuation and stock price will rise by 20% over the next 12 months as more money comes stampeding into its REIT sector – which makes right now the best time to buy and secure a 8.4% forward yield. 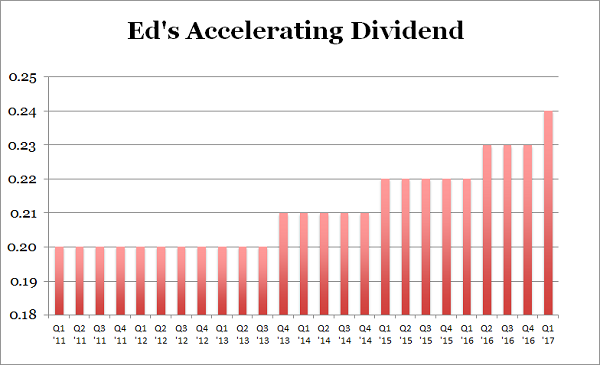 Well his dream and plan were plenty – Ed parlayed them into $6.7 billion in assets!